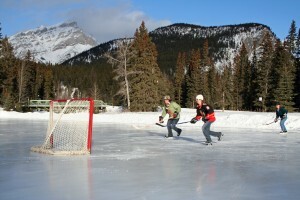 For me, like many, outdoor hockey gets back to the true roots of hockey. Pond hockey has been played and enjoyed by many a hockey fan and player alike. There’s something about the atmosphere of a outdoor hockey game, no matter the venue and no matter the age, that brings out the untainted youthful enthusiasm and passion for the sport, and for life in general – even for just a little while. Even if it’s for just one long weekend in February in a cool Rockey Mountain football stadium, this event will be something special to be a part of. As a spectator. As a member of the media (traditional and emerging media members). As a player. As a television viewer. As a radio listener.